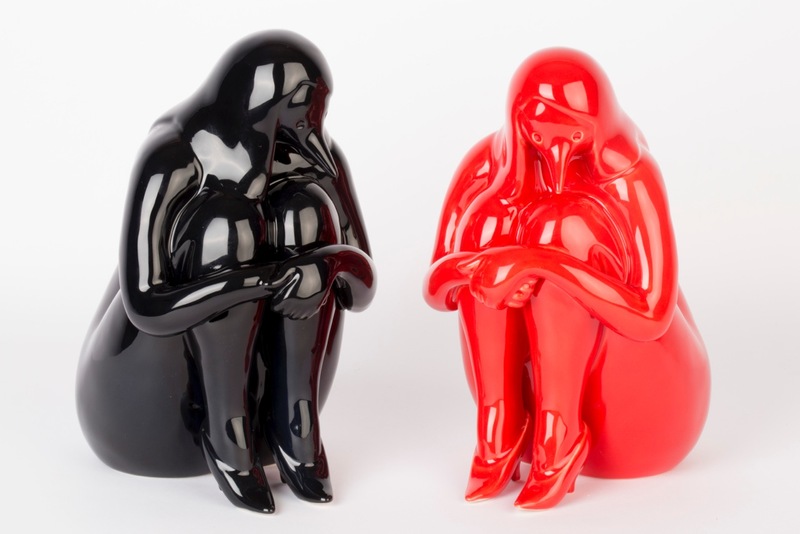 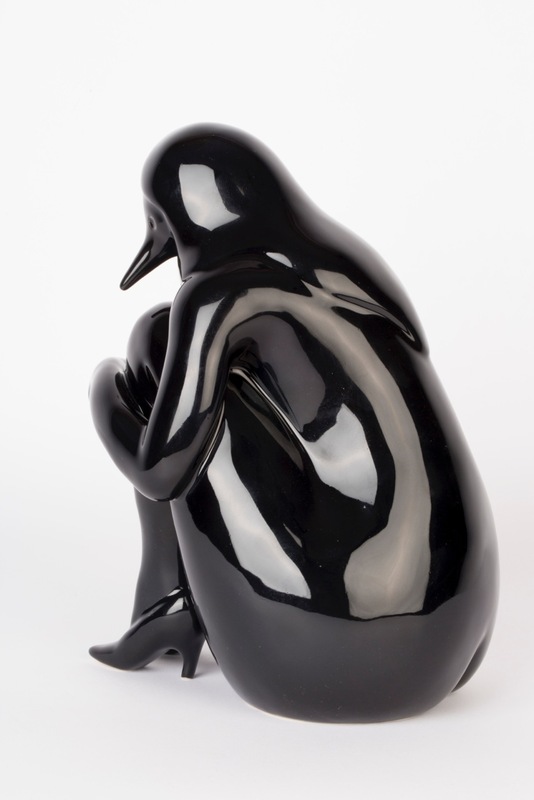 This black & red color way of the ‘COLD’ sculpture made for Parra’s 10 year overview exhibition at the Kunsthal museum in Rotterdam. 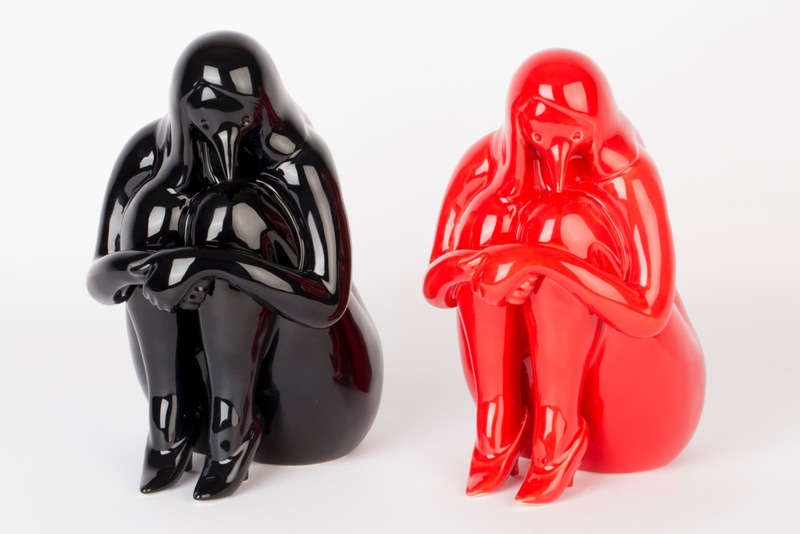 Parra once again translates his unique curved post-pop imagery into a beautiful porcelain sculpture. 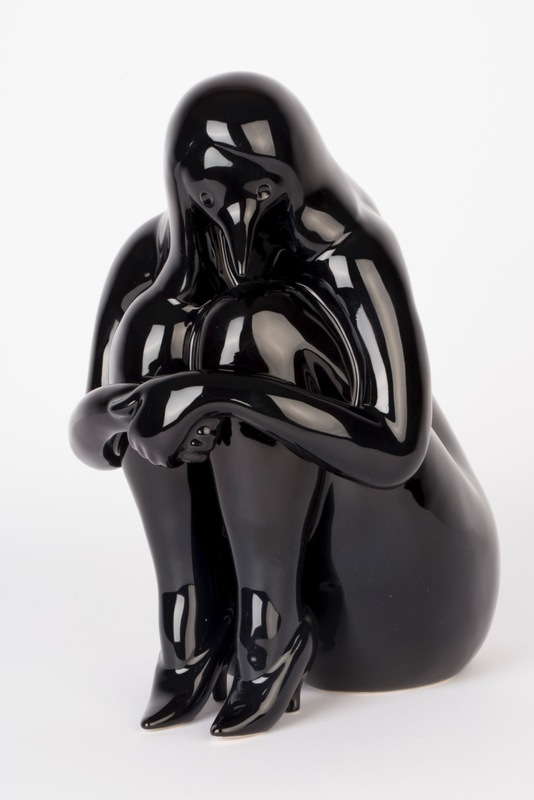 This surreal & hybrid character of a female birdlike creature with hands around the legs is looking for warmth.